Dr. Jonov has assembled an amazing team of experienced professionals at the Seattle Plastic Surgery Center. Our team is dedicated to helping provide patients with the best possible experience, comfort and outcomes. Gricelda Prado, Chief Operating Officer, has been with Seattle Plastic Surgery Center since its inception. She has working and educational background in Medical and Business Administration. Gricelda is deeply committed to Seattle Plastic Surgery Centers mission statement and vision of serving every patient with compassion, acceptance, respect, and confidentiality from initial contact to treatment completion. In her spare time, you can find her spending quality time with her husband and three wonderful children. Lynda is a registered nurse who brings over 10 years of extensive nursing experience in administration, management & communication, and medical aesthetics to Seattle Plastic Surgery Center. She has a keen aesthetic eye and incredibly gentle touch, which she uses to obtain the most natural results. Areas of expertise include the administration of Botox, dermal fillers, Kybella, and PRP (Platelet Rich Plasma). Lynda also has advanced training in the treatments of laser hair removal, photo facial rejuvenation, laser facials, and skin tightening. Above all, her outgoing personality and nurturing demeanor are key factors in Lynda’s ability to develop long-term relationships with patients, and she strives to positively impact every individual she treats. Within her time at Seattle Plastic Surgery Center Jessie has fulfilled the varying roles of Medical Assistant, Surgical Technician, and Director of Operating Services. 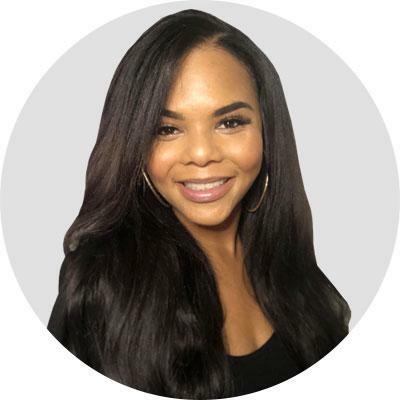 With over 9 years of experience in the customer service industry she is dedicated to helping our patients achieve their aesthetic goals while providing unsurpassable service. You will feel at ease when working with her as she is attentive, meticulous and warm. As the Director of Operating Services Jessie coordinates all aspects of the surgical facility and care. Her mission is to ensure you are comfortable and cared for from your first visit to you last appointment. Jessie truly believes that our patients should be cared for like family and incorporates this in every aspect of our practice. Outside of the office you can find Jessie either outside on a typical pacific northwest adventure or inside binge watching Netflix with her kitten. 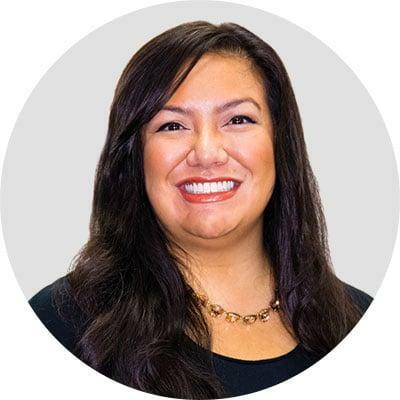 Our Patient Care Coordinator, Chanel, has over 9 years of experience in customer service and has earned a Bachelor’s degree in Media & Communication Studies from The University of Washington, Bothell. She happily dedicates her time to helping people achieve their aesthetic goals and will serve as the patient’s advocate during their whole surgical journey. She helps coordinate anything necessary for the patient and will make sure they receive the best experience possible from their initial consultation visit to their 1 year -post operative appointment with Dr. Sajan. Outside of work, she is a full-time mommy to a handsome 4-year old boy who keeps her on her toes! If she isn’t taking care of patients she is playing super heroes with her Superman! Since 2006, Patrick has thoroughly enjoyed practicing as a Nurse Anesthetist. His passionate care is reflected in vigilant approach to patient care. Patrick loves to bring comfort and smiles to patients, families and friends. He recognizes that surgery and anesthesia can be a stressful experience and tries hard to provide a supportive, understanding and positive experience to both the patient and their loved-ones. Belinda is one of our Patient Care Coordinators and a Licensed Esthetician with over 16 years experience in Customer Service and Sales and 8 years in Management. Belinda is often one of the first people to greet our patients on the phone and in office. She enjoys assisting patients with their initial inquiries and being available for all their needs throughout their treatment and surgical journey. Outside of work, Belinda enjoys traveling, hosting parties, family game nights and being a dance mom. Originally from Boise, Idaho, Alexis has over 10 years of providing exceptional customer service. As a patient care coordinator and as the first point of contact, Alexis strives to create a positive and welcoming experience for those we serve. When Alexis isn’t working she enjoys spending time with her fiance and exploring the beautiful state of Washington. Rose is committed to enhancing every patient’s experience with her warm cheerful voice and magnetic personality. With a passion for serving others, Rose is devoted to exceptional patient care and dedication to delivering world class customer service. She will strive to ensure that you have the resources necessary, to feel informed and comfortable, even before you venture into the clinic. Rose looks forward to keeping patients up-to-date and excited about the innovative and cutting-edge treatments and procedures offered at Seattle Plastic Surgery. Rose is lovingly married to her Jr. high school sweetheart, Tom, and together, they share three beautiful children; Thomas, Jordan, and Jasmine – plus a sweet little pup, named Pixie. She’s a lover of family time galore, all things chocolate, the medical/beauty world, traveling, boating, music that moves her hips, Harry Potter, Marvel, DC and everything Disney. 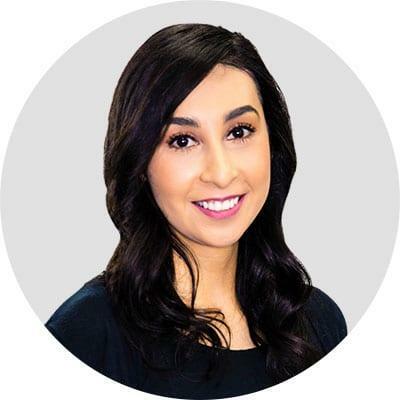 Veronica Urquidi joined the Seattle Plastic Surgery Center team as an Insurance Specialist and Executive Assistant in 2018. She has a Bachelor of Science in Business and seven years of experience serving people in customer and public service roles. Veronica is passionate about making your patient experience a wonderful one, and will enthusiastically assist you no matter the scope of your need. Outside of Seattle Plastic Surgery Center, Veronica can be found perusing book stores, finding new coffee shops, and watching History documentaries with her husband and two young children. Frieda has over 12 years of patient care and medical experience. As a Medical Assistant pursuing her Bachelor Degree in Business and Healthcare Administration, she is dedicated to helping patients not only meet, but exceed all aspects of their medical needs. As a Medical Assistant, Frieda will be with you throughout different phases of you and your family’s relationship with us. From your consultation though your post operative appointments, Frieda is here to call on should you have any questions or concerns throughout your journey in achieving your aesthetic goals. Outside of work, Frieda spends her time with her family and going to her daughter’s gymnastics meets. Frieda is an animal lover and has enjoyed raising both domestic and exotic animals, ranging from Doberman Pinschers to Ring Tailed Lemurs. Kyla is a double-board certified Master Esthetician and Registered Medical Assistant with a passion for cutting edge skin care treatments and modalities. She is dedicated to creating a step by step customized protocol for her patients in order to reach their skincare goals. In her free time Kyla enjoys spending time outdoors kayaking and walking her chocolate lab. Sara is a licensed master esthetician and medical assistant who helps patients prolong their surgical results through education and skincare treatments. 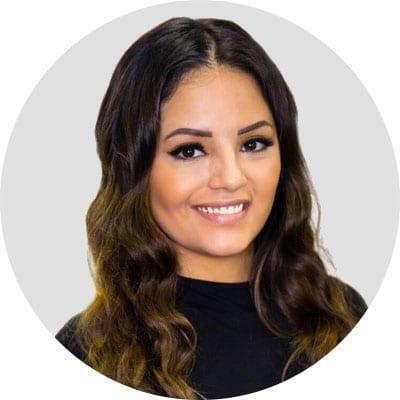 Sara is passionate about her career and cares about creating long lasting relationships with her clients, which is shown in her attention to detail she gives each client during a treatment. 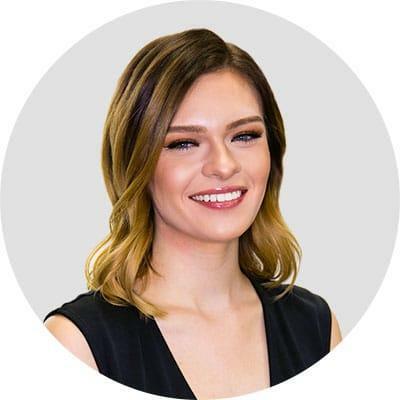 She is dedicated to continuing education, since graduating with her Masters in Esthetics, she continues her education with post graduate courses and seminars. Sara has a passion for volunteering and animals, she spends her free time coaching youth soccer and volunteering at animal shelters. 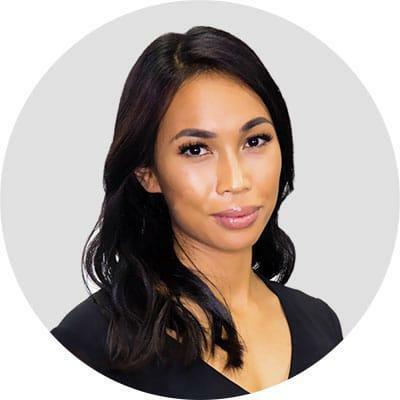 Gyna joined our team in August 2017 with an extensive experience in patient care and aesthetics. We have been fortunate to have her as part of our team. She brings an incredible amount of enthusiasm and compassion to our patients. You can find Gyna overseeing the daily operations of the back office, managing patient flow for surgery and supporting our surgeons and staff. As a nurse injector, Gyna’s gentle touch and safe practice of injectable makes her a coveted provider. When Gyna is not working or spending time with her family and little Shiba Inu, you can find her traveling and going on an eating adventure. Haley is a Registered Nurse from Idaho. Not only does Haley provide nursing care in the operating room, but she is a certified cosmetic injector. She has been making patients look and feel their best for over four years. She wants all her patients and their family members to feel comfortable, confident, and informed throughout their surgical process. Outside of work you’ll find Haley kayaking, hiking, rock climbing, volunteering, cooking in the kitchen, and enjoying life with her husband Tyler and her dog Dexter. Samantha is a Registered Nurse with over 8 years of medical experience who is very passionate about giving the highest quality of patient care. Samantha strives to make each and every person feel comfortable and appreciated. Samantha recently relocated back to the great Pacific North West from Hawaii to be closer to family. In her spare time she enjoys spending time with her family, participating in fitness routines, and going on various adventures. Eden is a certified nurses assistant, Medical Assistant, and Surgical tech. She has over 11 years of experience in the medical field; with 7 years experience in the Operating room. She is currently continuing her education in Nursing to work towards a Bachelors degree. Plastics, cosmetics, and Dermatology is her favorite specialty of choice, but helping people is her passion. Working closely with the doctors she helps ensure the satisfaction of each and every patient, while assisting the doctors and patients in clinic and in the operating rooms. Off duty Eden is a wife and mother of two children, Anthony and Aniya. She loves attending and being apart of their sports. Eden is also greatly involved with her church and assisting in helping the community with volunteering. Litzuli joins Seattle Plastic Surgery Center with 6 years of experience in a medical setting. Having always had a lifelong passion for cosmetic reconstructive surgery, she finally followed her dreams of being in the operating room. She has a true passion for helping people feel like the best version of themselves. Outside of work Litzuli enjoys spending time with family and friends. She is an avid reader and can often be found enjoying a good book while sipping on her signature iced caramel macchiato. Brynja joined our team in April 2018 from an orthopedic ambulatory surgery center. She has over 3 years of experience as a surgical nurse. We have enjoyed having her as a part of our team. She treats everyone with compassion and kindness. When Brynja is not working you can find her hiking and exploring the outdoors. She loves to travel and explore new places. 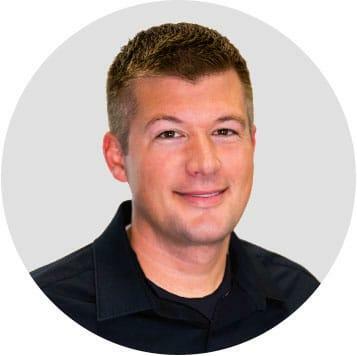 Matt has over 10 years of experience in Web Design and Ecommerce Management. He joined the Seattle Plastic Surgery Center team to keep consistent branding and gain more control over our growing online presence. He is behind the scenes redesigning our websites, creating social media graphics and staying busy with online marketing. Brenda joined the Seattle Plastic Surgery Center in November 2018. She has over 10 years of customer service and sales experience. She has a Bachelor of Science in Arts at the University of Washington. As a Pre-Op Coordinator she is committed to providing excellent service for patients preparing for surgery. Outside of the office Brenda enjoys working out, hiking and cooking with her seven year old. Morgan recently moved here all the way from Illinois. She has a Bachelor of Science in Nursing from Southern Illinois University. She believes everyone deserves to look and feel good in their own skin, by delivering the best and most compassionate care, she hopes to help make that possible. As a Pre-Operative Coordinator, she is committed to providing excellent care and ensuring all our patients experiences go smoothly. When Morgan isn’t at the office she enjoys exploring the beautiful state of Washington and taking her dog, Porter, out on walks. Andrew has over a decade of legal experience counseling individuals, corporations and elected officials. As in-house counsel, he handles our daily legal needs across a wide variety of issues. 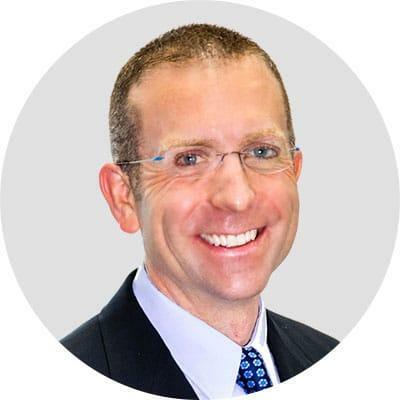 Prior to joining Seattle Plastic Surgery, Andrew worked in private practice as the founder of a law firm focused on business, medical and intellectual property law since his move to Seattle in 2009. Outside of work, he enjoys teaching skiing, spending time on the Puget Sound and with friends and family. Kimberly is a Certified Public Accountant with over 8 years of progressive corporate finance and management experience. She is committed to providing accurate financial information and maintaining clear patient payment and invoicing records. Kimberly is local to the area and believes in treating every patient as family. In her free time Kimberly enjoys hiking, playing mini golf and spending time with her husband and two sons. 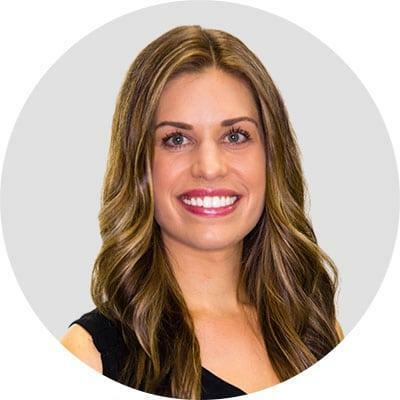 Anna joined the Seattle Plastic Surgery team in February 2019 from a Seattle Dental Implant office. She has over 5 years of experience in Office Administration. As a Patient Care Coordinator she’s a customer service professional, detail-oriented, friendly and treats everyone with compassion and respect. She built her experience in a variety of roles and industries and sincerely enjoys expanding her horizons. Outside of work you can find Anna in the city with her loved ones, on the mat in a hot yoga room, traveling, cooking or at her local gym.